Churchill would later remark that this period, "could I have seen my future, was to lay the foundations of my later life." 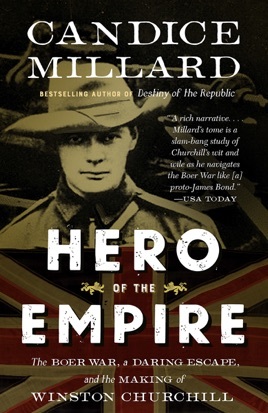 Millard spins an epic story of bravery, savagery, and chance encounters with a cast of historical characters—including Rudyard Kipling, Lord Kitchener, and Mohandas Gandhi—with whom he would later share the world stage. But Hero of the Empire is more than an adventure story, for the lessons Churchill took from the Boer War would profoundly affect 20th century history. Millard (Destiny of the Republic) takes a relatively minor episode in the life of Winston Churchill his escape from prison during the Boer War and makes hay with it, painting young Churchill as a brilliant soldier, talented raconteur, and politician in waiting. Churchill's escape from a jail cell in Pretoria and subsequent trek through enemy territory are presented as the first signs of the grit and determination he would later show as prime minister. Apart from some enjoyable biographical detail (Millard has a weakness for hair "shining like a dark jewel" and interiors of "rich yellow silk"), the book contains little of interest for readers who are not already die-hard Churchill buffs. Churchill's racism is consistently underplayed, the politics of the Boer War are ignored, and figures such as Leo Amery are reduced to drawing-room caricatures. 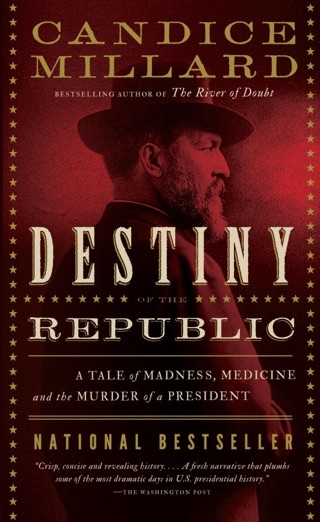 By dwelling on Churchill's privileged upbringing, Millard effectively extinguishes any sympathy the reader might feel for a pompous young man who once wrote, in typically overblown fashion, that if his plans for political office fell through, "It will break my heart for I have nothing else but ambition to cling to." Not even some late attention to the wider world beyond Churchill can save the book from its hagiographic bent. Great story about a great man. I had no idea what Winston Churchill had done in his early life. Amazing story. A pretty good read with a lot of additional detail about Churchill's capture and subsequent escape from the Boers. There are some obvious bias against Colonialism (boo! bad) which tends to drag on a little - not that I am saying Colonialism was good but contemporary efforts, such as Iraq & Afghanistan, have proved to be more costly in lives and money to much less positive affect on the local population. This was my holiday read. I had a choice to read this or Churchill's own book about his early life - I now have to read Churchill's version as it will likely encompass more of his earlier life (home, family, school, military, North West Frontier...) which was lacking from this book. 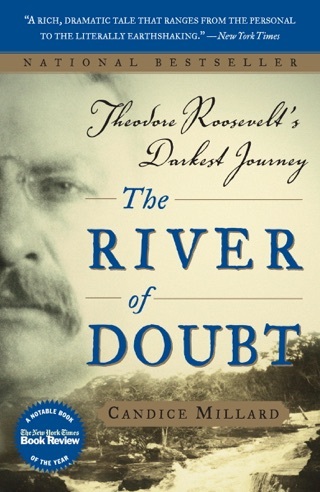 Just as in River of Doubt, Millard breaths life into a little known event in the life of a well-known person. Churchill's Boer War adventures illuminate his drive, character and ambition, mostly, but not always, favorably. The adventure story is well told in nail-biting detail, without neglecting the surrounding background. Jennie Churchill, the family and social surroundings, the Boers, the ill-prepared British military are all painted in colorful detail. The result is both educational and entertaining.